The Furry Pound forums • View topic - Check out my new Fox Ears hat! Check out my new Fox Ears hat! Hey guys. I know I'm new here and it's probably not good to link to this as one of my first posts, but I think it's pretty relevant. I just made a fox ears hat for TF2, and I'm pretty sure it's the first of it's kind in the workshop (besides the cat ears). It would be incredible if you guys could help me out by spreading the word around as much as you can! I know TF2 has loads of furry players, and if this gets enough votes valve will have to at least consider it. Well, I ended up deleting it. 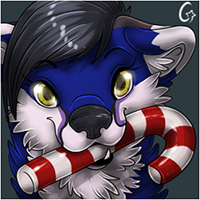 I made the mistake of posting it on the FA forums...and prior to that I had gotten angry at a guy on the submission itself for an anti-furry comment, and that combined with me asking the FA forums to help me counteract the hate apparently made them think I was one of those people who blamed criticism on anti-furries. They also apparently thought it was really bad. I didn't realize models had to be triple A five star quality to get accepted into the game, and I thought people would be happy just to have a chance at getting something furry into the game. I was wrong, and posting it on the FA forums caused it to get massively downvoted, so I just deleted it. I might try improving it and submitting it again at a later time, but I don't know. I personally thought it was cute, especially for my first 3D model ever, but oh well.